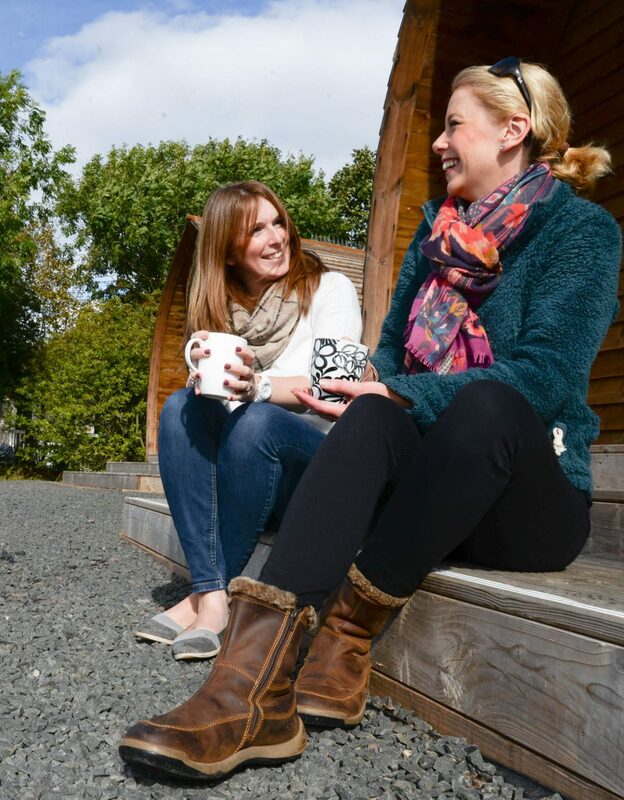 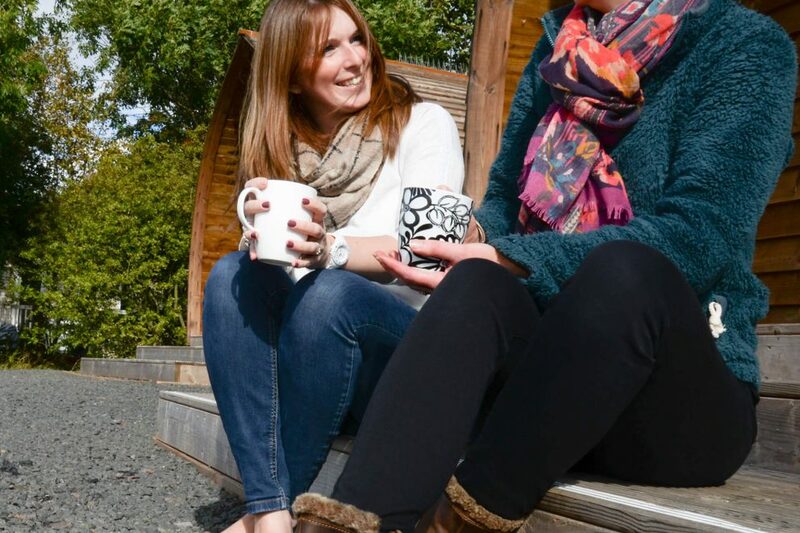 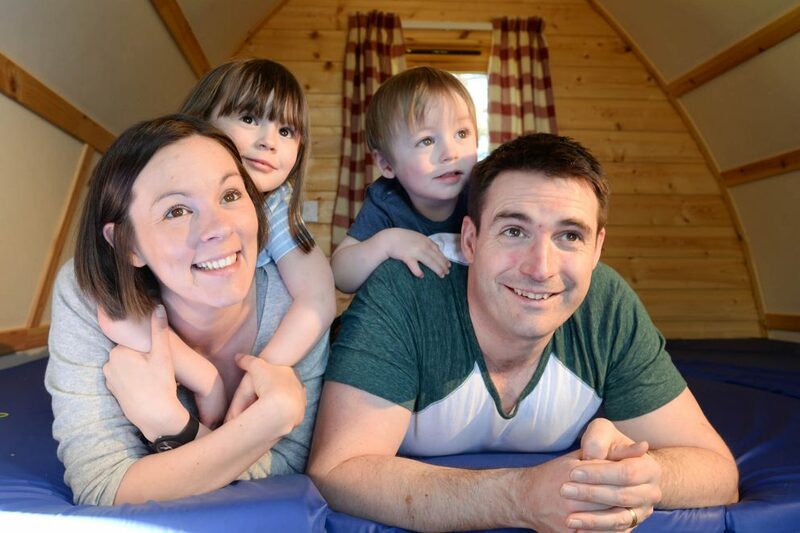 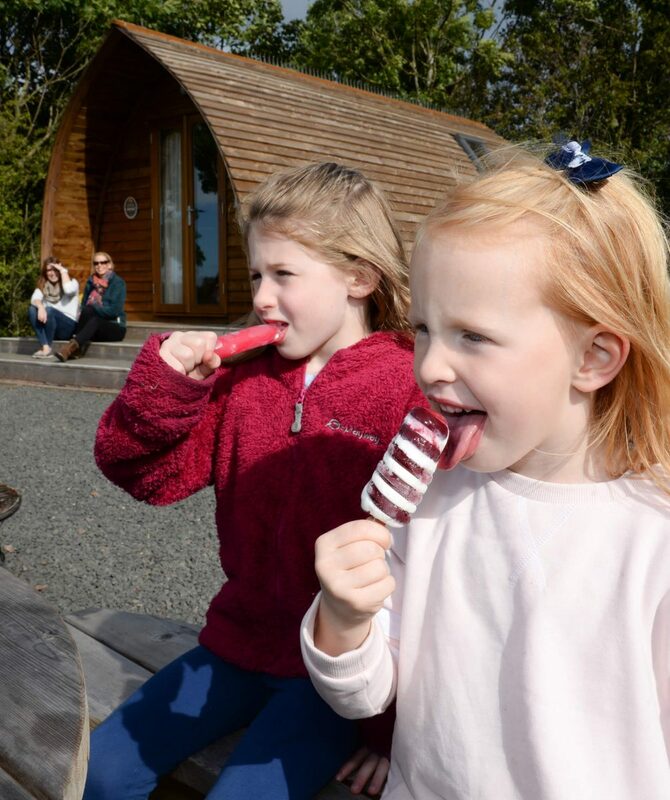 Our running water, Big Chief Wigwams are made from environmentally friendly and sustainable wood and will sleep a family of up to four or provide a more peaceful and private stay for two. 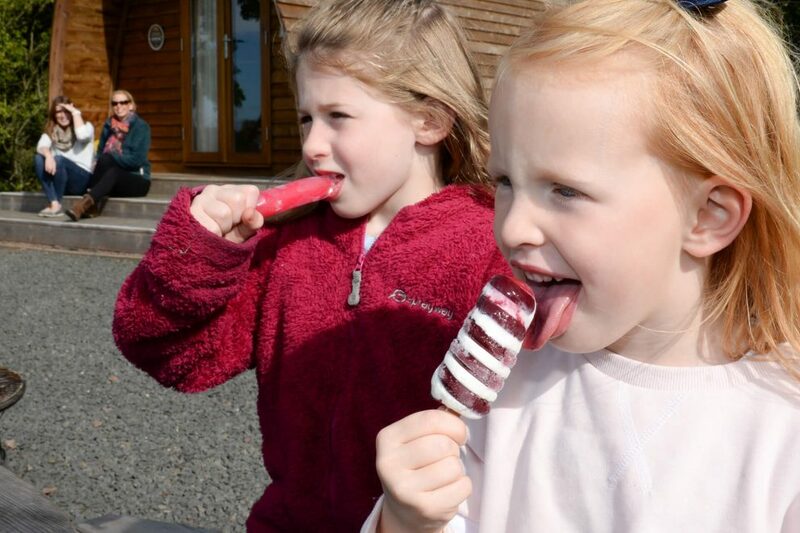 Remember children under 16 years of age go half price and children under 5 go free. 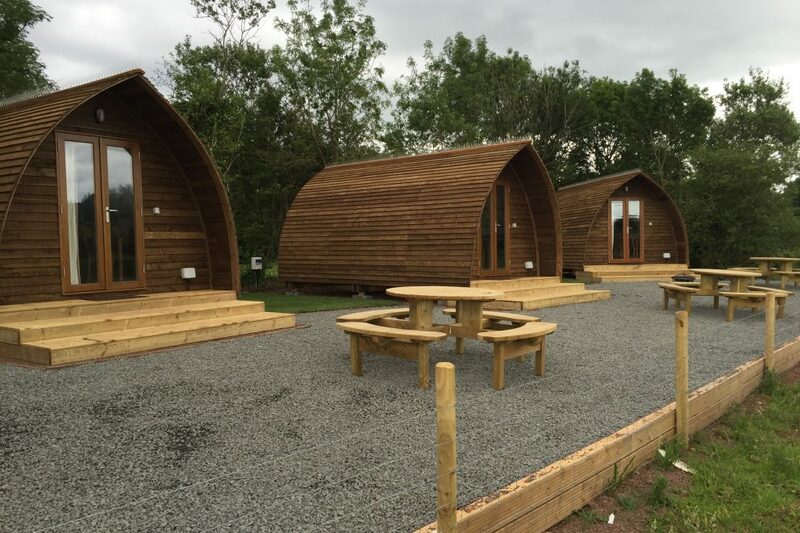 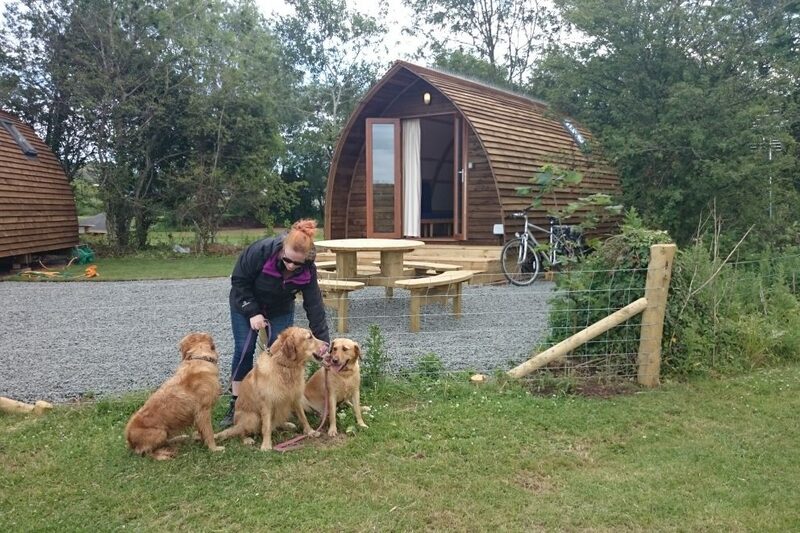 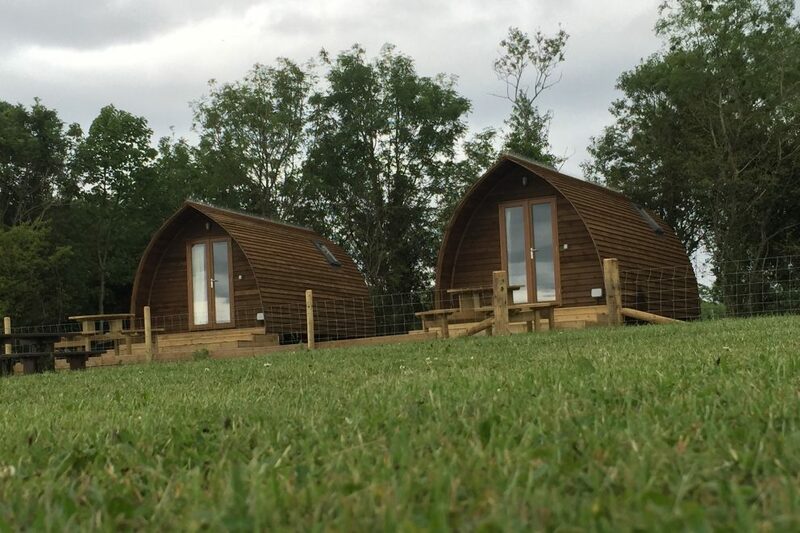 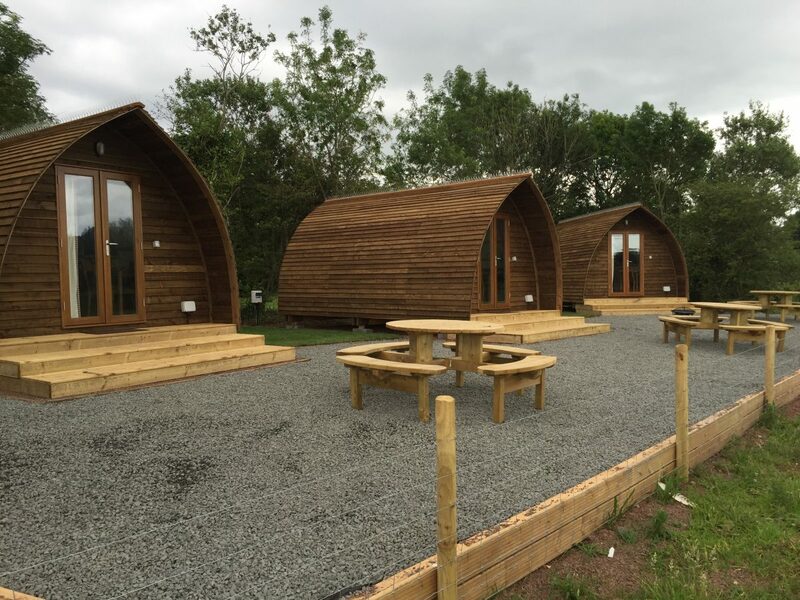 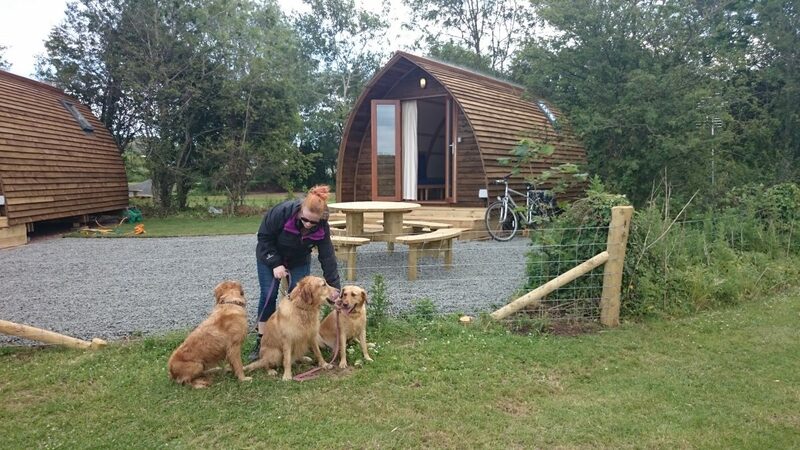 Our Wigwams at Belhaven Bay Caravan Park are special because they are the latest design with WC facility on board. 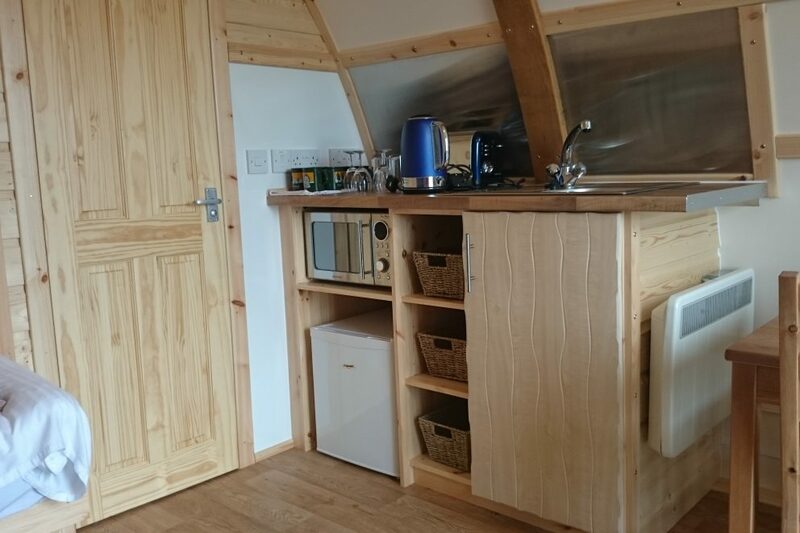 Also, equipped for self-catering with a micro-kitchen. 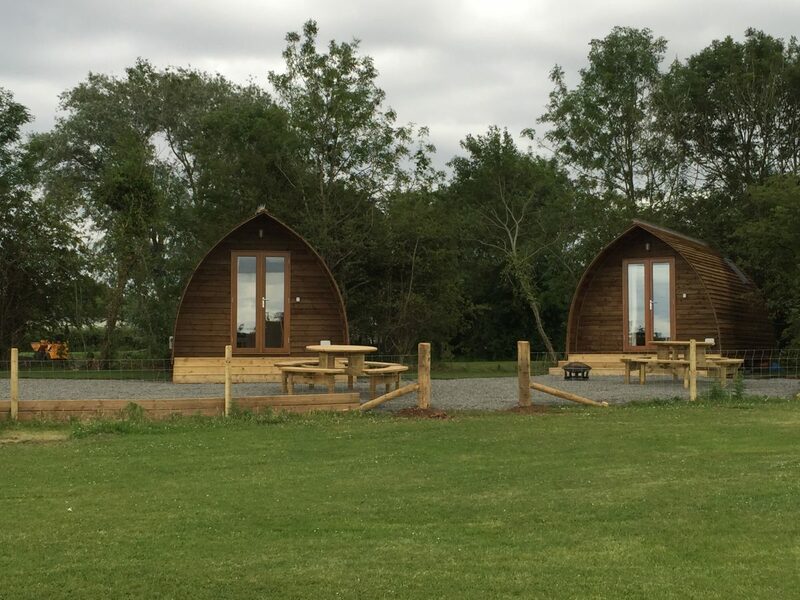 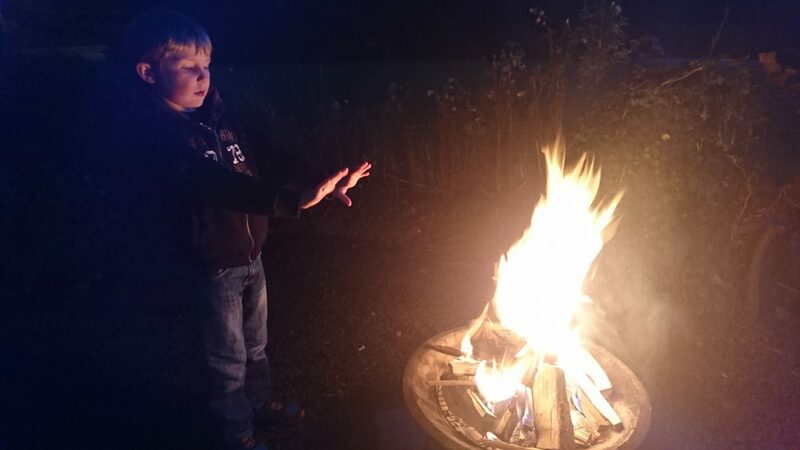 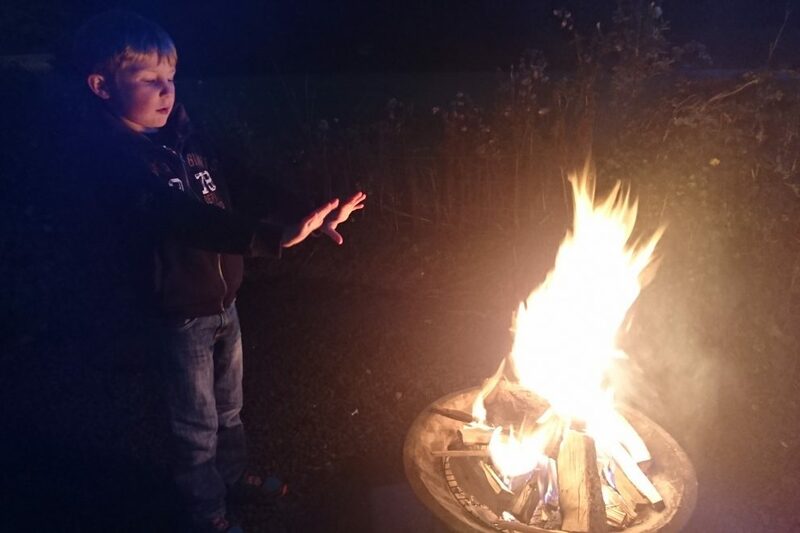 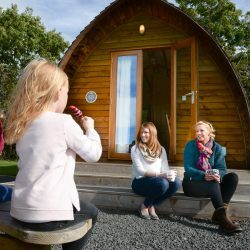 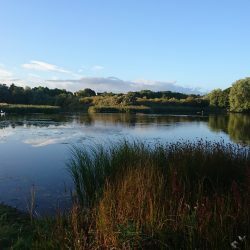 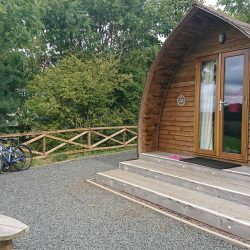 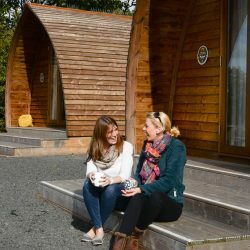 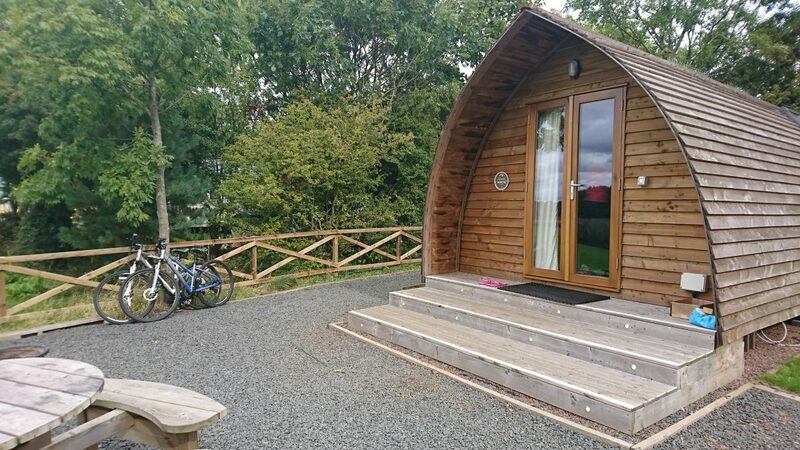 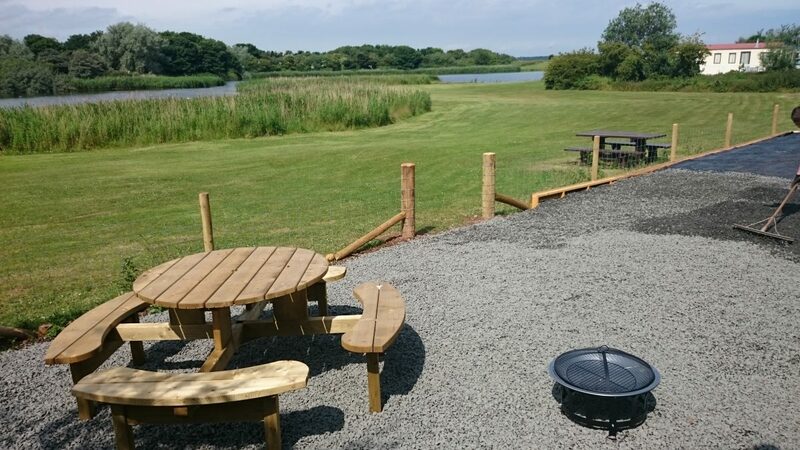 They occupy a special location at Belhaven Bay Caravan Park each with outlook double doors, picnic bench and directly overlooking the lake on the John Muir Country Park. 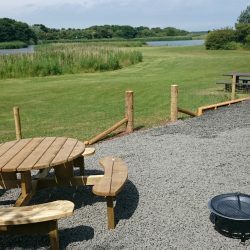 You also have the benefit of your very own BBQ and fire pit (fuel can be purchased at reception). 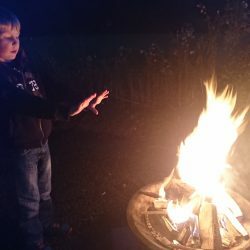 Enjoy a blazing fire pit! 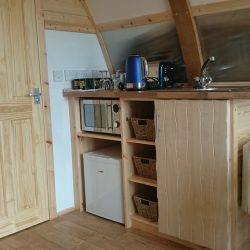 They each have a fridge with freezer box and a food preparation area with hot water sink, kettle, microwave oven, toaster and cafetieres and a light inventory of crockery and cutlery. 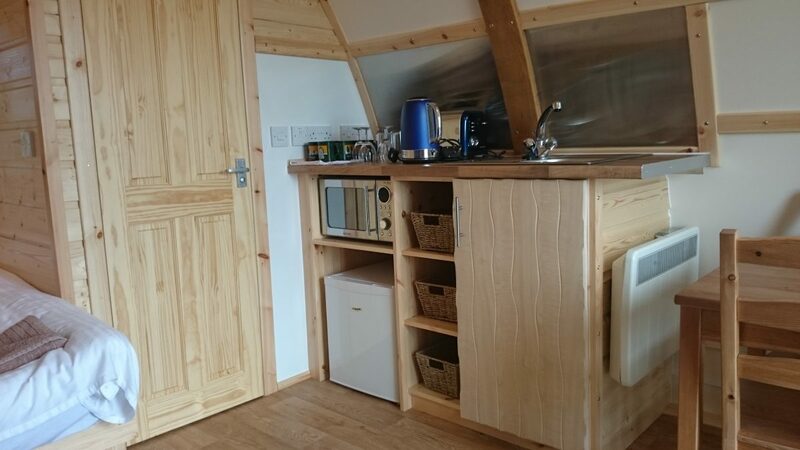 They also have a compact dining set which can be substituted with a travel cot upon request. 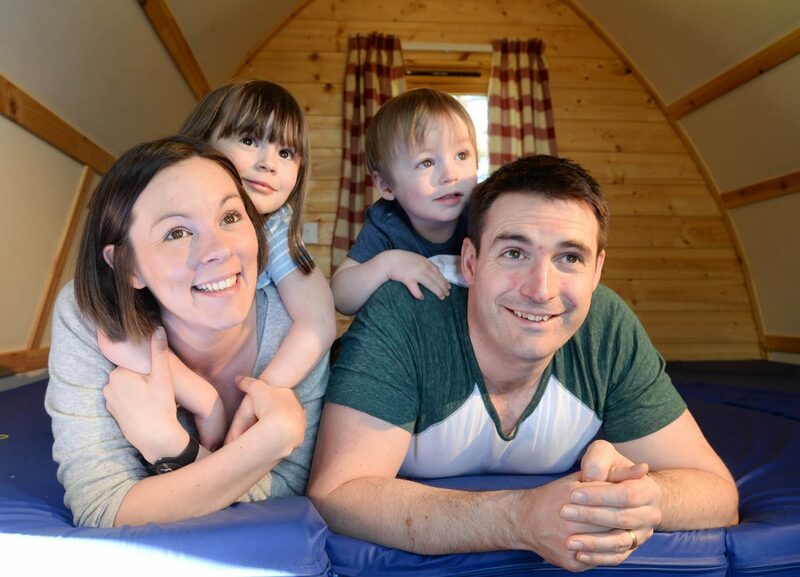 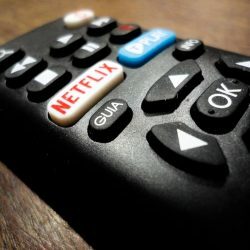 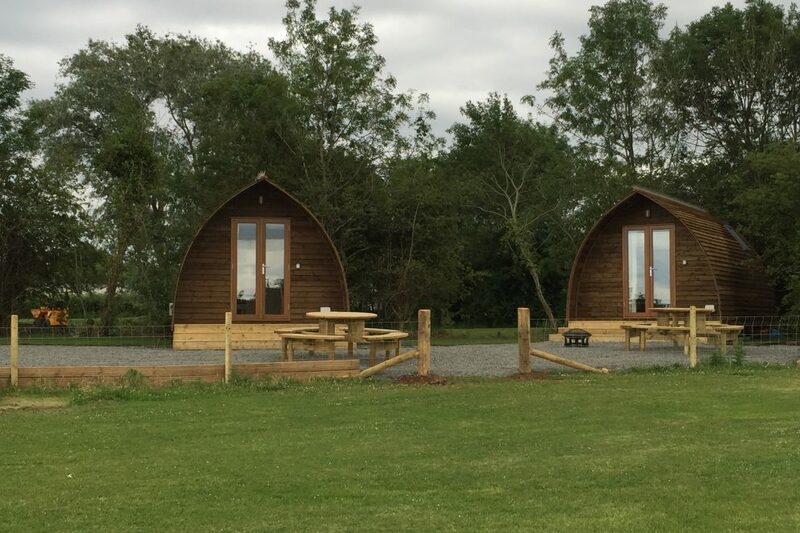 For your convenience our wigwams have a flat screen digital TV, DVD player with a chrome-cast connection so that you can stream from your personal mobile device direct to the TV (on your Wi-Fi connection, check with your provider) if you wish. 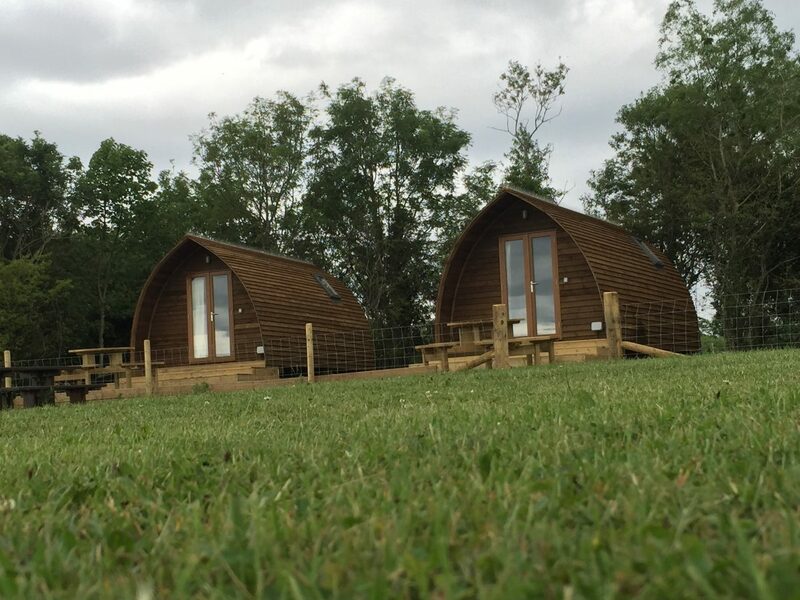 The double bed is made up and fresh linen is provided for your arrival. 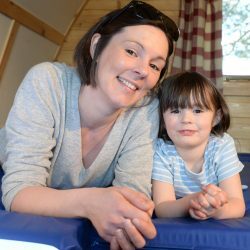 The fold down bed is designed to accommodate two additional persons. 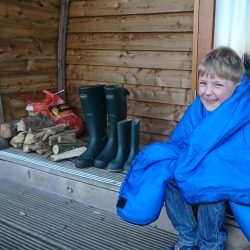 We also supply extra pillows upon request for your comfort. 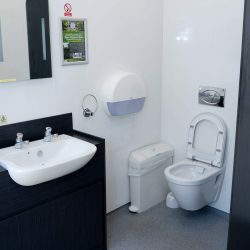 Hand towels are supplied along with a complimentary arrival pack which includes coffee, tea, sugar, fresh milk, and biscuits. 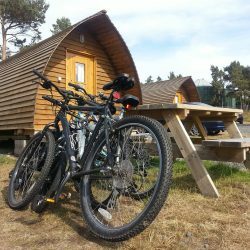 Excellent, piping hot showers, launderette and play areas are available on park and within easy access of your wigwam and there is parking provided for one car. 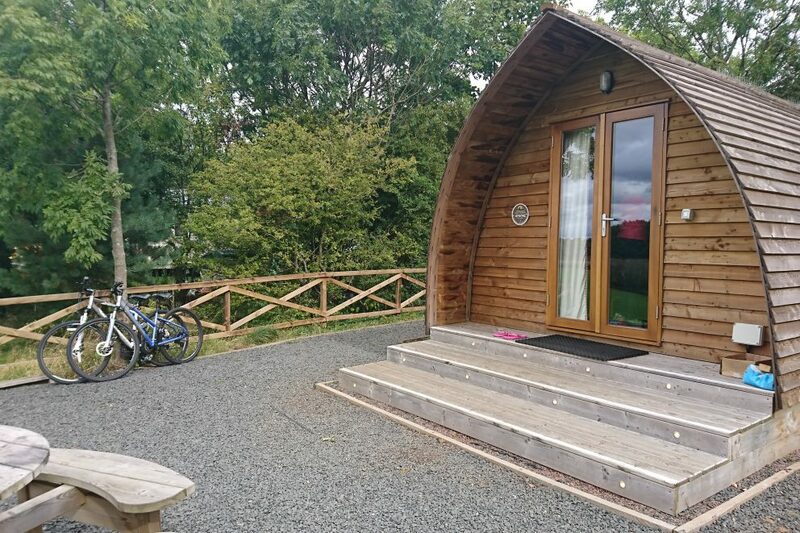 Your very own bicycle storage is provided. 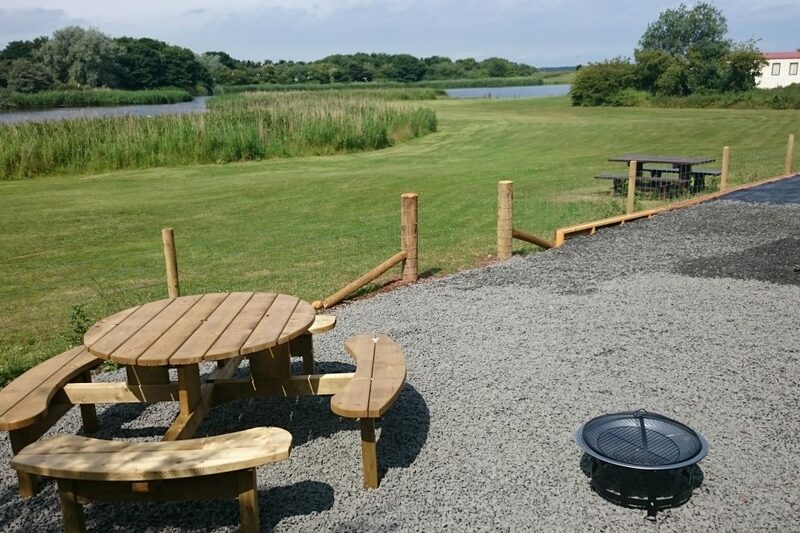 Fire pit provided, bring your own logs or buy on-site!